Game developers find their inspiration in a variety of places. Like any art form, character design can be an amalgamation of different images and styles. 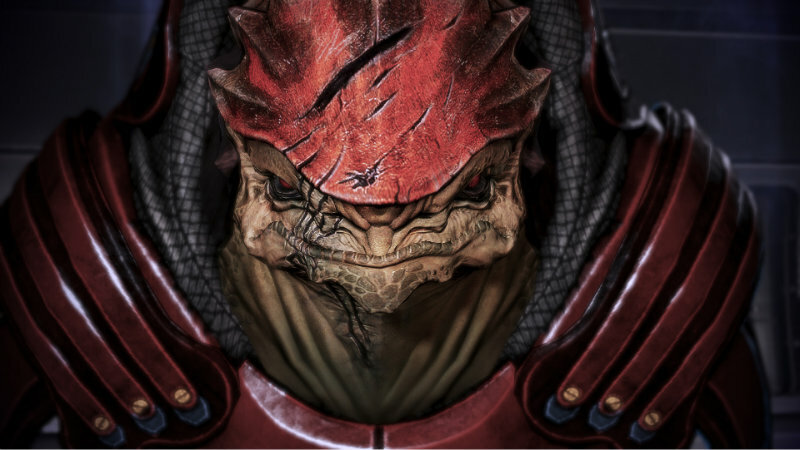 In a new video all about Mass Effect, some of those inspirations might surprise you. Here is the new video from Did You Know Gaming? What I find most interesting is the fact that Krogans were actually based on a specific species of bat. Furthermore, in early designs they had eyes on the side of their heads, but this is an evolutionary development of prey rather than predators, so they shifted the eye position to the front. Salarians are based on our classic view of aliens – they would be the species that would have abducted humans for research purposes in our time period. It’s a cool idea and made even more amusing considering that Mordin was modeled on an aging Clint Eastwood. While most of the facts and easter eggs will be familiar to fans of the franchise, it’s still nice to see them brought together in one place. Most of us are still waiting for any new details about the upcoming Mass Effect game. However, considering that the game is still very far from release, I doubt we’ll be seeing any news any time soon. I suppose we’ll just need to console ourselves by replaying the trilogy, or sinking our teeth into Dragon Age: Inquisition. I think that we will actually get more clues about Mass Effect 4 from the changes and developments to the Dragon Age franchise – the studio has used both franchises as learning experiences and there is certainly plenty of cross-pollination between them.